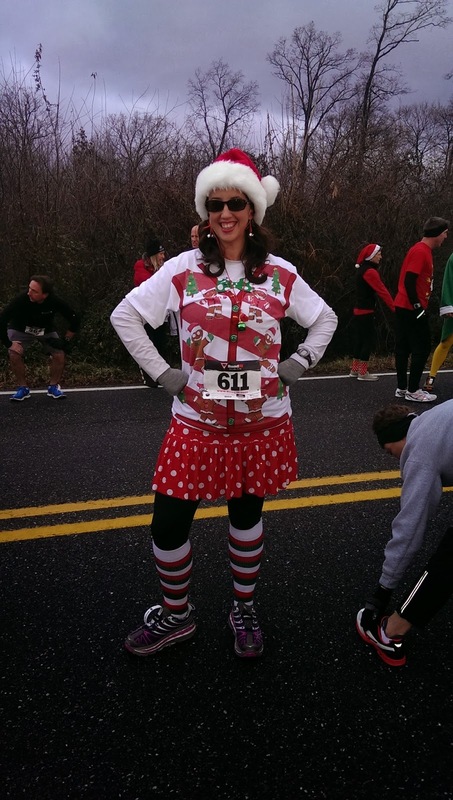 Sparkly Runner: It's the Most Wonderful Time of the Year! The weeks between Thanksgiving and Christmas are some of my most favorite weeks of the year. 1. Peppermint EVERYTHING! Peppermint + Chocolate = Heaven. 3. Holiday races! 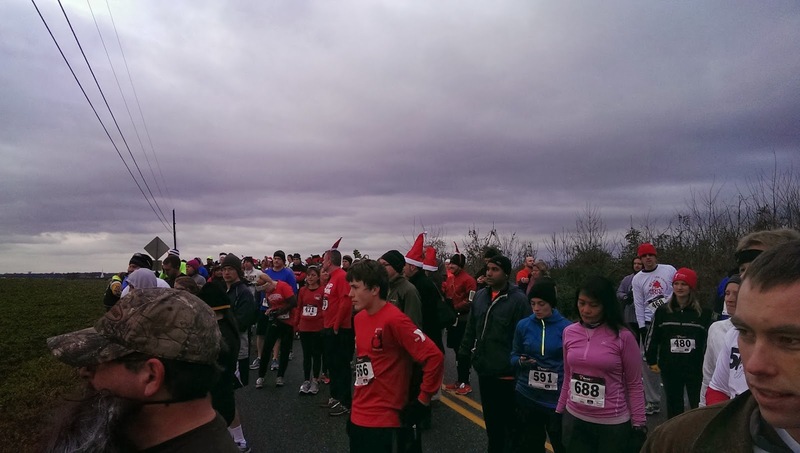 Turkey Trots, Jingle 5k's, etc. Lots of local (and affordable) races this time of year. 4. Wish lists and holiday shopping! 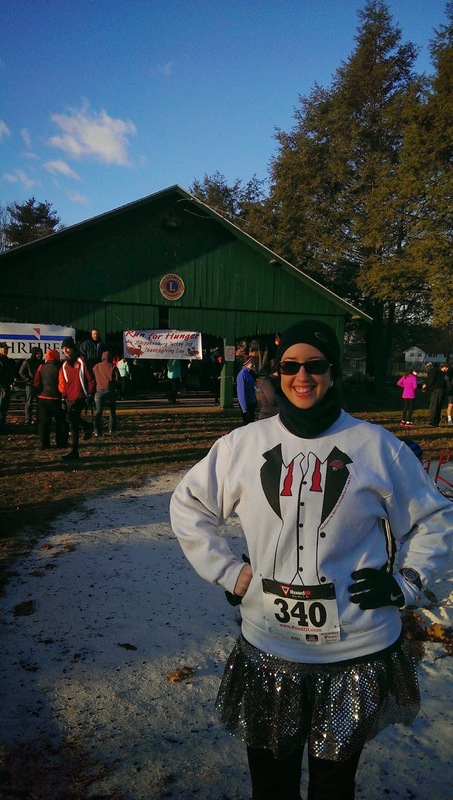 Speaking of holiday races, I have been lucky enough to have participated in back-to-back weekends of fun and festive races! Below are my quick & dirty recaps for each with some helpful hints on what to wear in colder weather. 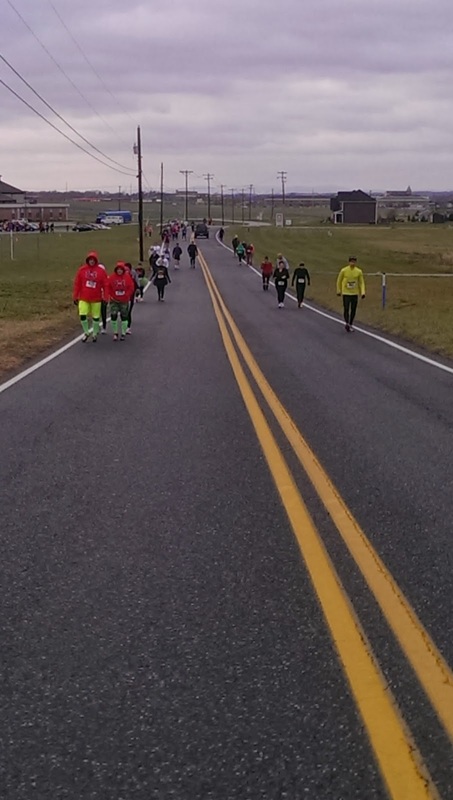 This local race seemed to have everything you could ask for in Thanksgiving race- a low entry fee ($10), random drawings for cool prizes, and all proceeds benefitting a local food pantry. In reality, you get what you pay for. 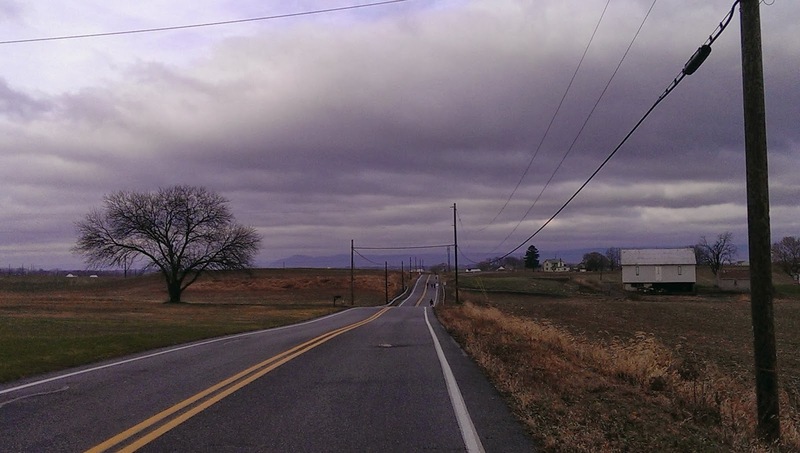 This race started at Shippensburg Memorial Park at 8:30 am. It was really chilly Thanksgiving morning- around 28 degrees with some pretty horrendous wind. I have a habit of dressing up for holiday races and this one was no different. 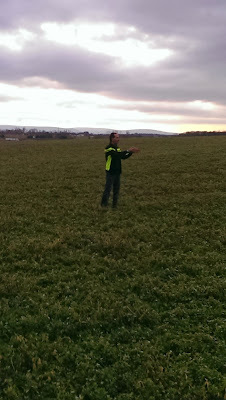 I wore Champion brand base layer pants and long-sleeved shirt (both from Target, around $15 each, amazingly warm! ), a cotton tuxedo t-shirt, and a cotton tuxedo sweatshirt. I also wore my gunmetal Sparkle Athletic skirt, a pair of Nike gloves, a Nike ear warmer headband, a Champion brand women's running hat and a Bula brand neck gator. The race itself was pretty simple, a little loop around the park, another loop through a neighborhood, then a quick out and back to the Volvo plant. There was one "water stop" and I use that term lightly. There were two kids, probably about eight years old, handing out small bottles of water around the one mile mark. No one was taking them because it was really, really cold. After the turn-around and when I knew how much longer we had until the finish, I looked at my watch and started to feel pretty crappy about my time. In almost all races, my goal is to finish. This one was no different; it was a fun, holiday race. But something was bugging me. I felt like I was putting a ton of effort and pushing the pace. But my time was SO much slower than my typical 5k time. What concerned me the most was that this was day one of a four day Dopey simulation. Knowing that I was going to run 40 miles in four days, I didn't like feeling so crappy while I was going so slow. Anyway, I finished the race and found my way over to Matthew. Then I looked at my mapmyrun app on my phone- 3.49 miles. I wasn't that slow- the course wasn't marked properly. The little loop we did in the neighborhood wasn't part of the course. But, with no course volunteers or course map ahead of time or directional signs to lead us, we all just followed the leaders. Apparently, this loop was part of the course in years past, just not this year. I was ticked that I had allowed something as silly as the minutes on the clock make me feel so bad about myself and my run. I was working hard, pushing the pace, and really putting in effort. I don't like being in a negative head space like that. Also, I ended up being really warm. I probably shouldn't have worn the sweatshirt or the gloves. Yesterday, we competed in another local race. This entry fee was significantly higher- almost $40 per person because there were lots of cash prizes for overall winners, age division winners, most festive dressed, teams, etc. I entered the "Athena" category; women over 155 pounds. This was the first time I've seen this division offered in an event OTHER than a triathlon. This race had an 8:30 am start time. It was 32 degrees at the start. Previous to the start, you could pick up your bib (and shirt, if you bought them for an extra $12) and use a real bathroom at a beautiful church. It was really nice to have a warm area to spend the pre-race time. Around 8:15, they started letting us know that we would have start walking to the starting area. I felt like we were at a Disney race! It was about a half mile walk to the starting line which was at the top of a giant hill. Trudging up the hill to the start. On this walk, I started to second-guess my clothing. I was wearing my Champion brand base layer pants, an Under Armour long-sleeved shirt, a cotton t-shirt, my Nike ear warmer headband, a Santa hat, knee-high Christmas socks, a cheap pair of tech gloves, and a Sparkle Athletic skirt. 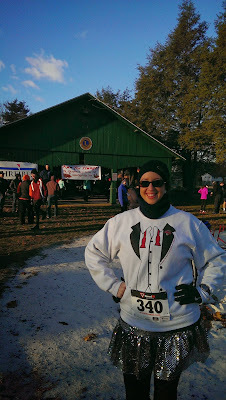 I was chilly at the start and hoped that I wouldn't be cold the entire race. There was no start line. We had timing chips attached to our shoes, but we never ran over any timing mats. The race director literally stood on the side of us, counted down, and said go. It was the most odd start to a race I've ever experienced. The crowd, listening to the race director. 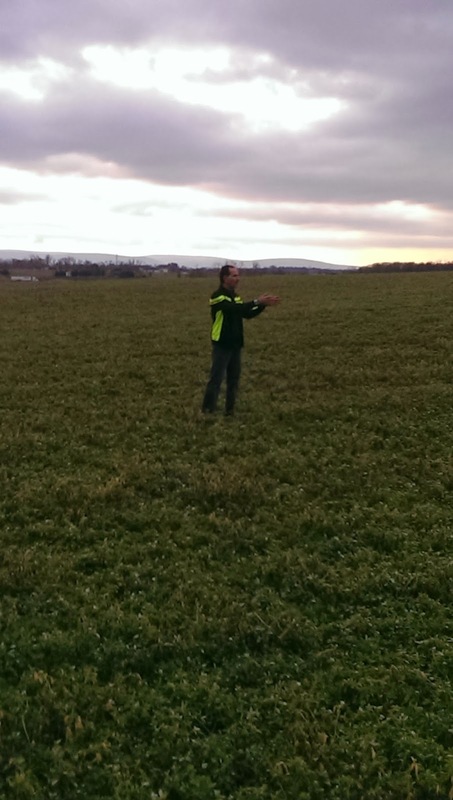 Race director giving us course information. Without much fanfare, we were off! I started my watch when I passed the race director (about 10 seconds after he said "go!") and began the awesome downhill to start the race. The course itself was well-marked and there were volunteers at every stop directing runners where to go. There was one water stop, just a bit past mile three. The course had a good amount of hills on it. While going up hills, I was remembering what Galloway says about hills- shorten your stride and pick up your cadence. I actually passed two people using this method! Also, I ended up staying nice and warm on the course. What I wore worked perfectly for this particular day and distance. At mile 5, I looked at my watch. It was at 55 minutes. I cried. Under 12 minute miles! For most people, my race times are not competitive. I'm a slow and steady runner. The only person I'm trying to do better than is myself. I strive to make each race feel better and (hopefully) pace faster. The same giant hill we walked up to the start was the downhill finish to this course- it was glorious! Running towards the finish, I knew I was going to PR. I actually had butterflies in my stomach as I was nearing the finish line. I crossed and could not believe it. Unofficially, 1:09:23. I took almost five minutes off my 10k time from a few weeks ago. I could not be more proud of myself. Finally, all this training is paying off! We didn't stick around to see the awards. They were posting times inside the church and I could see the 3rd Athena runner came in around 1:04 and since they were only awarding the top three in every division, I knew I wasn't getting an award. The lines to get food and water after were really long- we ended up getting a drink from the water fountain in the church. 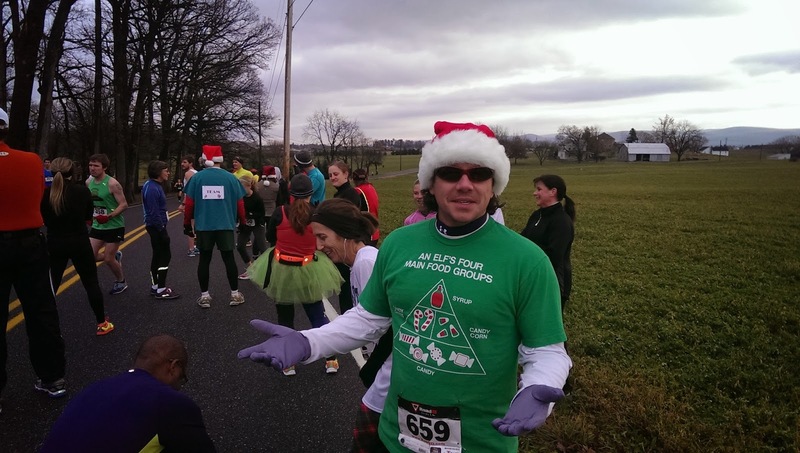 How were your holiday races? I'd love to hear about them! I do love Holiday races too :) I just wish it felt a LITTLE like late fall/winter here... 81 degrees by 9AM during a Half (which got delayed by nearly a half-hour) was a bit much today! LOL and best of luck continuing with your Dopey Training, you guys are amazing! Thanks! I try so hard not to obsess about time, you know? And I HATE feeling like I did at that race! Love your candy cane outfit! Very cute. I wish I could be as enthusiastic about the holiday season as other people are. I just dread the time of year. The days are short and colder and I cry over the most random stuff....movies, songs. It's crazy how the time of year controls my emotional reactions! I'm always happy when April comes around. I didn't do a holiday themed race this year. I opted for the Diva half instead, but I dressed holiday-ish! How was the half? I've seen some recaps about it and it looks pretty awesome!